Update: You did it! And a record-breaking year, at that! 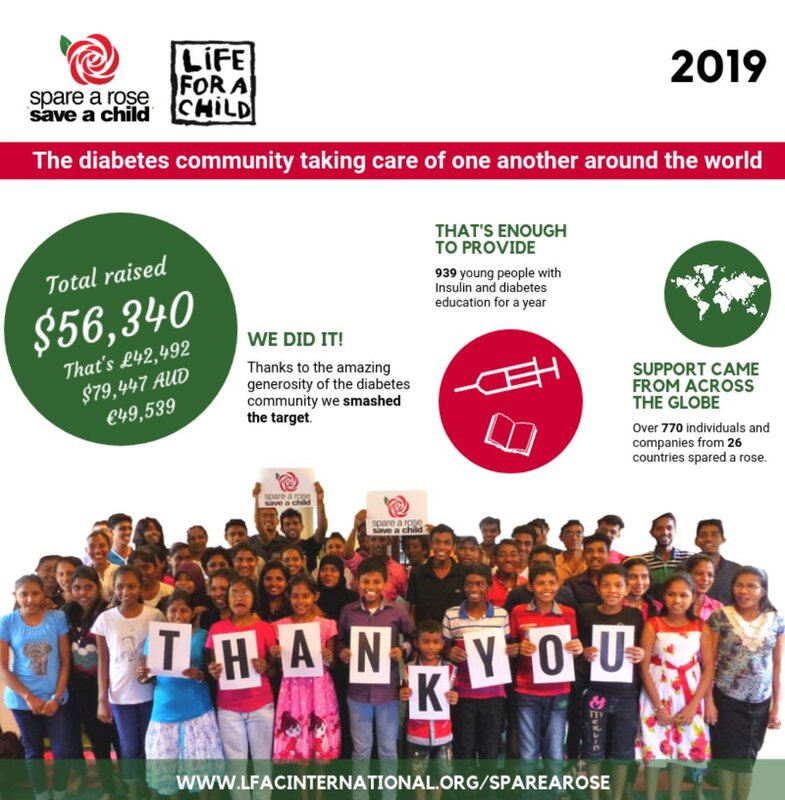 Here are the results that YOU made happen! Thank you! Today we feature a touching message and request from our friend and brother. He shares tragedy, heartbreak, and a simple way you can help. On Sunday the 4th of February I did something I’ve not done in many years. In fact, I can’t remember when I last did. My son was diagnosed with type 1 diabetes. The thought of him living with diabetes upset me and made me angry. Having to inject insulin for the rest of his life. Doing what I have to do. But what would I do if he had been born in a less fortunate country? A country with limited or no access to insulin? The rest of his life would be very short because there’s little access to insulin. He’d live maybe a year. If we were lucky. This is happening to children right now. You can help stop it. This Valentine’s Day. 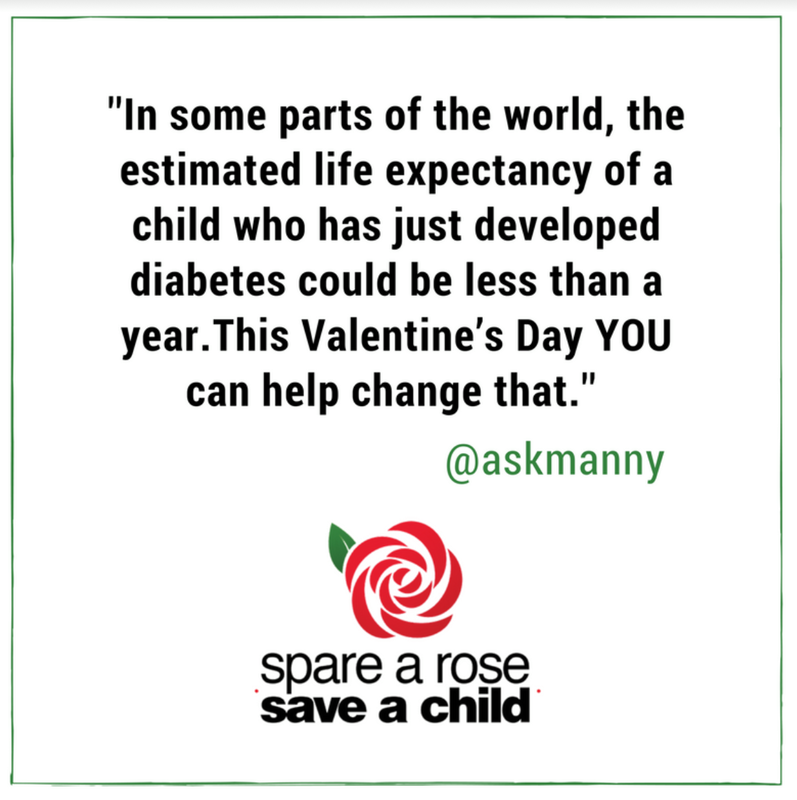 Spare a rose, save a child.